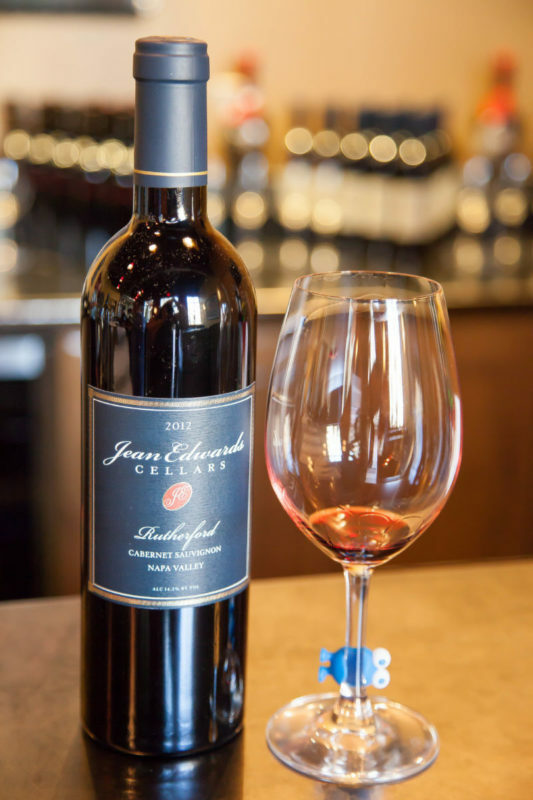 As guest bloggers for Napa Food & Vine, we were invited to join California Girl and The Brit to write up our amazing experience at Jean Edwards Cellars. Strolling down 1st Street in downtown Napa, we turned down a corridor that opens up into a small plaza. We passed a beautiful, Italian style fountain on the wall just before the entrance of Wines on First. It was a perfect September morning, and the doors were propped open to invite in the morning breeze as well as a light aroma of meat smoke drifting from a restaurant in the same plaza. 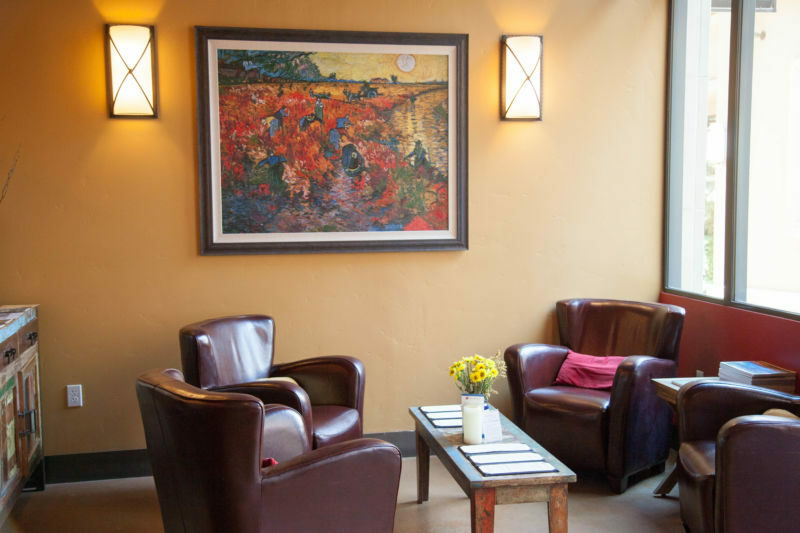 The tasting room has a clean, modern style, with decorations and accents clearly chosen with care. We stepped inside and Steve Sansone, the wine director of Jean Edwards Cellars and a trained sommelier, greeted us warmly. We took our seats at the bar because were there to taste wine. Steve is very knowledgeable about the history and flavor profile of each wine he pours, and he prefaced each tasting with relevant information for the blend and varietal. Wines on First is a tasting room collective that pours wines from three limited case production wineries: Jean Edwards Cellars, Pur Cru, and J McClelland. 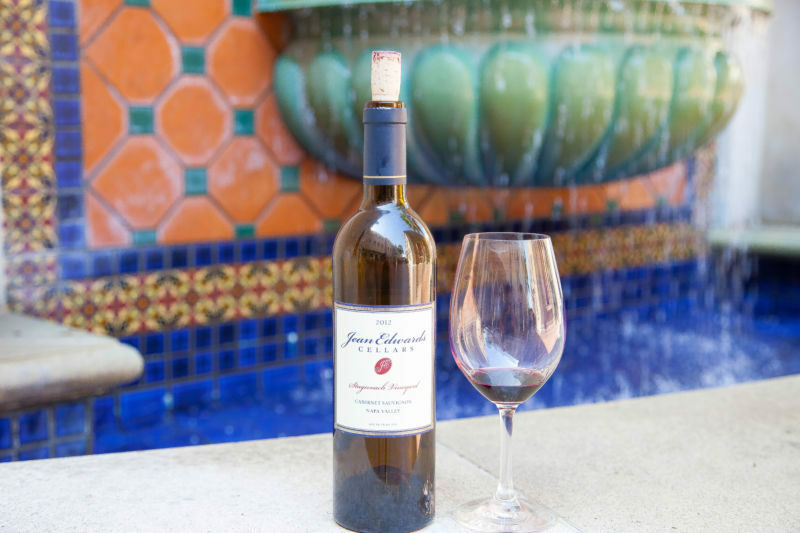 Since 2004, Jean Edwards Cellars has been making some beautify balanced blends from grapes selectively sourced from Napa vineyards. We really enjoyed hearing about the winemaker’s process and other antidotes Steve shared during our tasting experience. 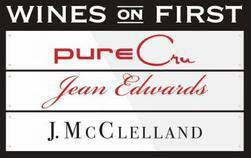 The nose on all the Jean Edwards wines were truly exceptional, and it was a pleasure to taste them all. We started off with a 2015 Rutherford Sauvignon Blanc. It was true to form for the varietal, with a crisp, floral nose and fruit forward taste. French Oak Barrel fermented for 9 months, this is a wonderfully smooth white with vanilla rich notes and balanced acidity; perfect for a warm California day. From there we moved onto the Cabs where, in my eyes, Jean Edwards Cellars really shines. (A Note to the readers: The Artist and the Alchemist tend to drink red wines.) The first one that Steve poured was the 2011 Napa Valley Cabernet; it has the chewy aroma of coffee and caramel with a deep oak note. Aged for 21 months in French Oak, it consists of 88% Cabernet from a private vineyard in St. Helena and 12% Merlot sourced from Atlas Peak. This is a strong, bold cabernet, with notes of blackberry and black cherry. Wonderfully balanced, it shows a beautiful burgundy color. This would pair wonderfully with both fruity and dark chocolate. 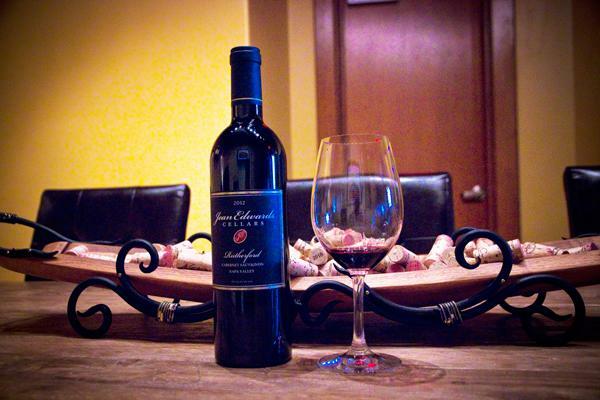 Next up was our favorite, the 2012 Stagecoach Cabernet. The wineries largest production of only 65 cases; a blend of 95% Cabernet, 4% Malbec and 1% Petit Verdot produces a complex rich wine. Earthy with a nice presence of oak. This vibrant colored dry wine has notes of raspberry and black cherry, good tannins balancing the fruits nicely. We bought a bottle of this one and plan on serving it with a prime cut of beef or pork shoulder. As a lesson in the variety of flavors of the same wine from year to year, Steve prepared a side by side of 2011 and 2012 74-41 Cabernets. (The 74-41 name is actually the longitude and latitude of the owners’ estate in New Jersey.) Nicely presented (with the coolest glass markers! ), this is an experience you will have to try for yourself. It is fascinating what the year’s climate can do to the flavor and intensity of the grapes and the wine that is subsequently produced. The 2011 that sold for $35.00 a bottle in my opinion was a far cry from the 2012 vintage that sells for 68.00 a bottle. This 100% cabernet sauvignon is a combination of fruits from the mountains as well as the valley floor. With hints of blackcurrent, dark fruit, and dark chocolate. Aged in 60% new 100% French Oak for 22 months this wine would pair perfectly with a variety of meats including steaks, prime rib, or chops. Steve next poured 2012 Rutherford G3 Cabernet Sauvignon. Sourced from one of Napa Valley’s most admired AVA’s this full bodied Cab is 98% Cabernet and 2% Petit Verdot and aged for 22 months in 100% French Oak. The nose on this Cab was truly superb putting off the aroma of dark fruit with beautiful oak hints. Tasting the wine produced amazing structure and a long finish; this wine will show hints of dark cherry and black current with nice oaky tannins. At $90.00 a bottle this would be a wine we would have to lay down for a special occasion. I would imagine this wine would pair well with a number of different meats, but what comes to mind would be a nice marbled ribeye steak or filet mignon. Next on the tasting menu we had an estate block 2012 100% Petit Syrah. This medium body wine had a beautiful maroon color and crisp nose. At first taste you can really pick up the strong berry notes with a peppery finish. This fabulously styled wine is 100% Petite Syrah aged in 100% French oak. To finish off this amazing experience Steve poured a beautiful Rosé of Sangiovese. In our eyes it was a true to form Rosé with a pinkish orange translucent color and a crisp taste on the tongue. In comparison to other rosés I have tasted, this particular rosé had attitude and would be a nice summertime wine. 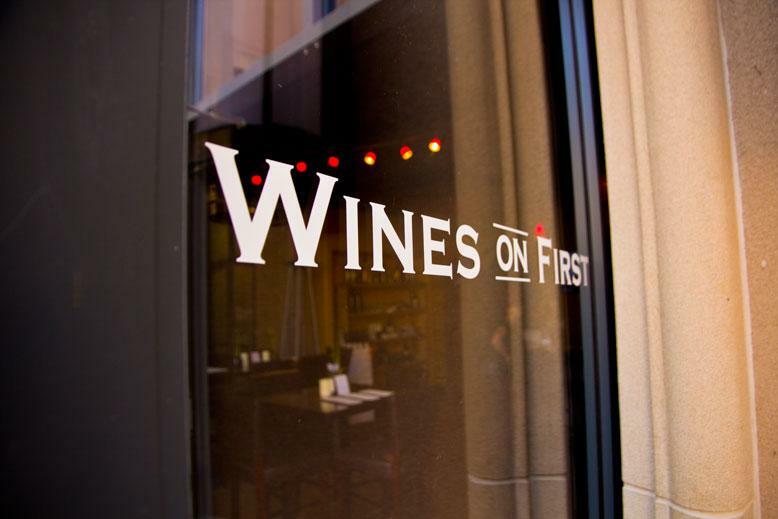 Just like Napa, Wines on First is much more than just tasting wine. A unique feature of this tasting room is that they allow you to order food from the nearby Italian restaurant, Oenotri, thus the table settings we noticed when we entered the tasting room. A custom menu is delivered daily based on the delicious delicacies the chef has to offer. Not only do they serve brunch from 11am – 3pm and dinner 5pm – 9pm, but are open until 11pm on the weekends; <well past dinner> for the night crowd. Steve has used his Sommelier expertise to put together a few food and wine pairings that can be found on the tasting menu in additional to the full service menu from Oenotri. We will defiantly have to make a meal out of it on our next trip! Additionally, they have a back room that can be used for more intimate seating or a private party. 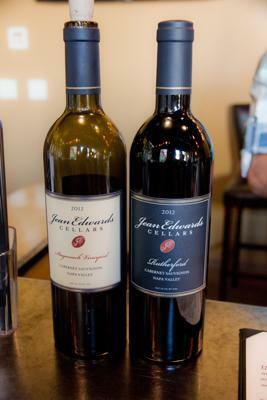 Jean Edwards Cellars has a wine club, with two pickups a year. Wine club perks include discount pricing on the wines, free tastings, and invitation to wine club only events. 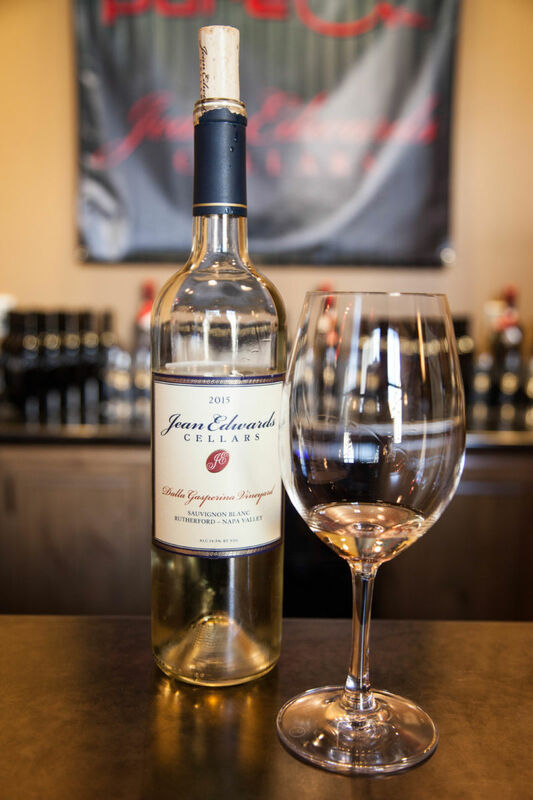 Check out the website at http://jeanedwardscellars.com for hours, information on the wine club and upcoming events.